These fabulous shoes can be yours. 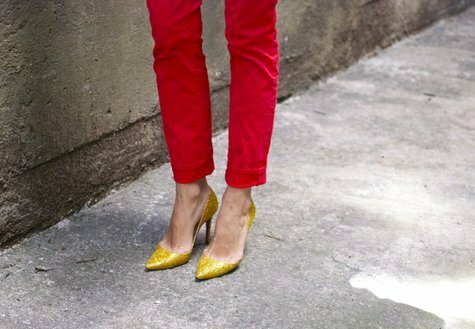 It's easy to spruce up an old pair of pumps and make them glamorous once again. All you need is some glitter and good adhesive. 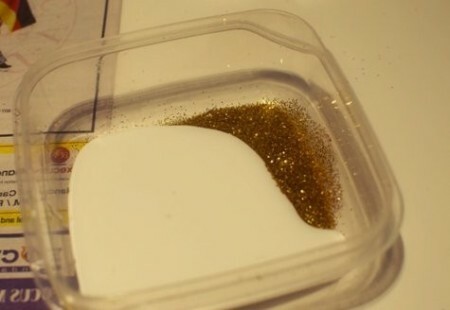 1 big container of glitter, any color. Adhesive and glitter tend to stick best on suede surfaces but that's just if you plan on using the glam shoes more often. If you are feeling adventurous, you can combine several shades or even make a custom design. 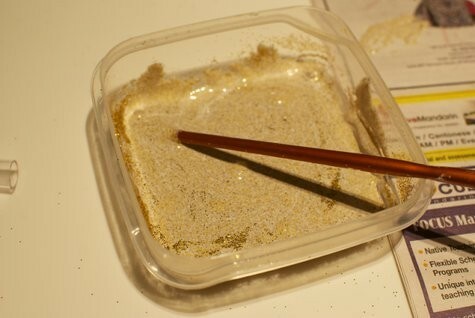 Since I prefer things simple, I only used golden glitter. Before you start the actual project, you need to clean and sanitise the shoes. 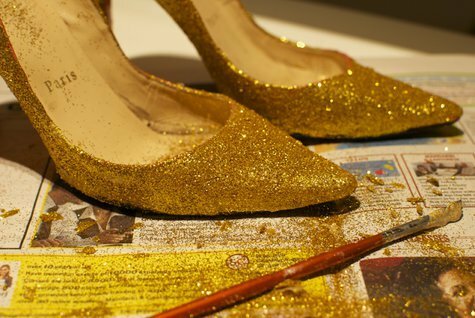 Dirt and grime will prevent the adhesive and glitter from sticking properly to the surface of your shoes, which will result in the glitter falling off easily. To prevent stains and unnecessary cleaning adventures, just place a few sheets of newspaper on your working zone. Create the base mixture. Begin by pouring 1/3 of the glue in a plastic container (any old thing would do) and add glitter until you get a mixture that resembles mine. Using an old brush, apply the mixture directly on the shoes. Thicken the glitter. To get that glossy look you need to thicken the glitter coat. 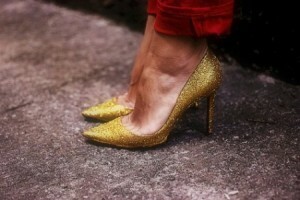 Do that by sprinkling more glitter directly on the shoes. Don't be afraid about the excess. You can easily put it back in the container with the paper. 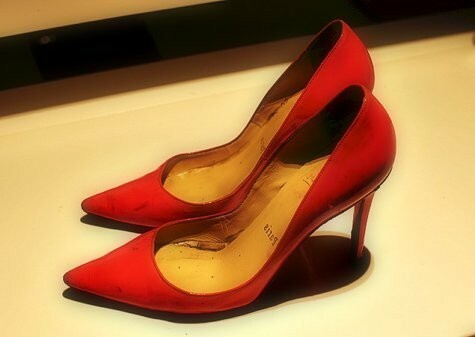 Allow your shoes to dry for at least a night before you put them on.